The most impressive model in the Gucci Classic collection, this chronograph embodies the quintessential Gucci style, inspired by a passion for sailing and nautical sports. 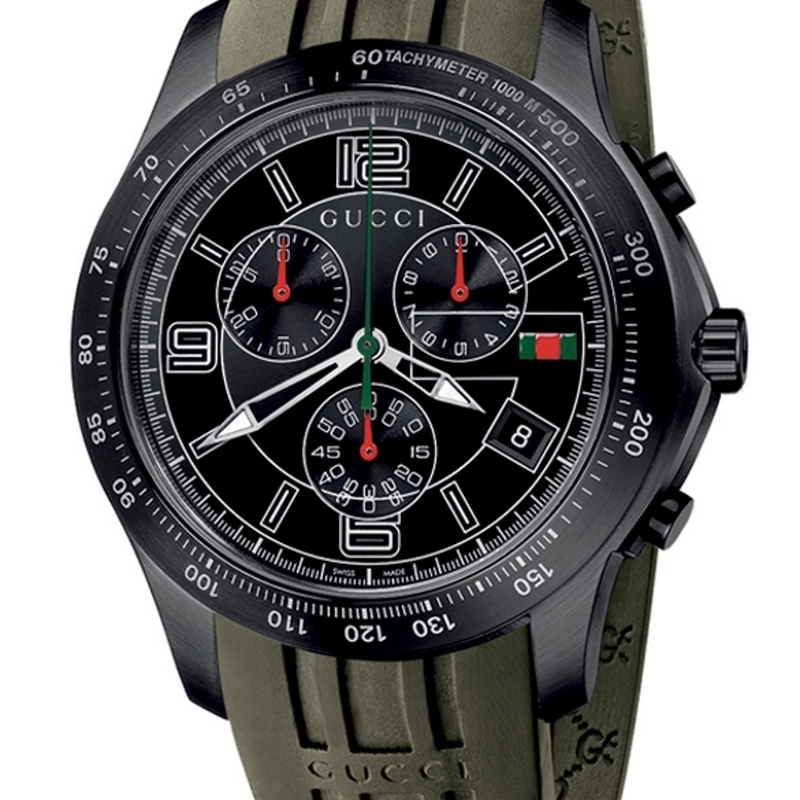 Very sophisticated in its steel case and bracelet version, it becomes powerful and distinguished when presented in black PVD with a black or green rubber strap. 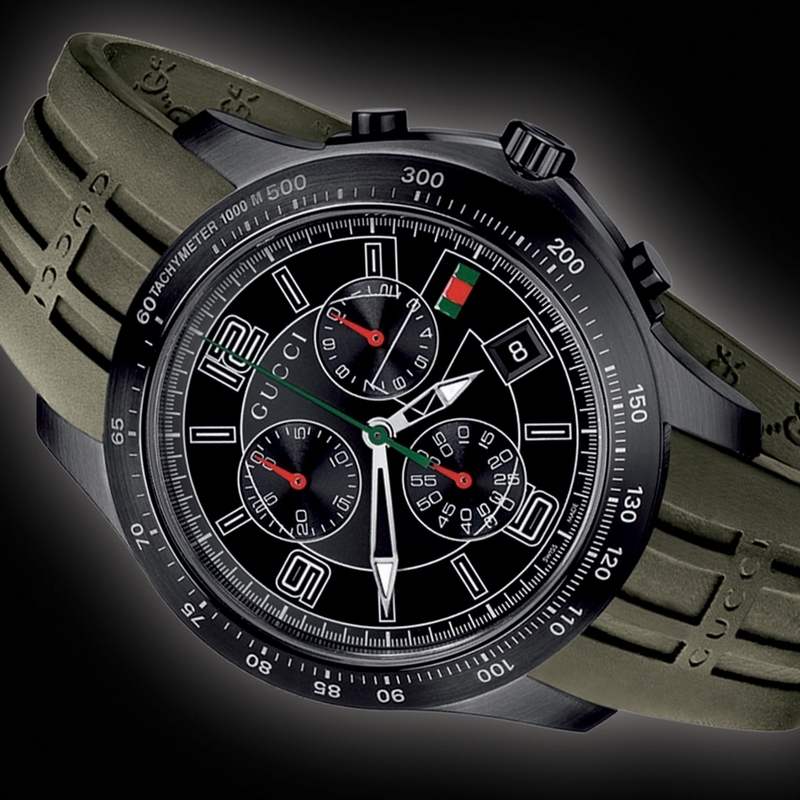 No matter which of the two versions one chooses, one certainty remains: that of wearing a timepiece that is faithful to the brand’s codes, with the emblematic G in shiny filigree on the dial and the iconic green-red-green band. An inimitable signature, which makes each one of Gucci’s creations instantly recognisable.